It snowed again in Chicago today, adding to the 60 plus inches of snowfall we’ve already received. I’m sure a collective sigh and disgusted shouts of “enough already!” could be heard across the area. This winter has been a rough one. Meteorologists regurgitate recycled forecasts: snow, cold, snow, sub-zero temperatures. Repeat. 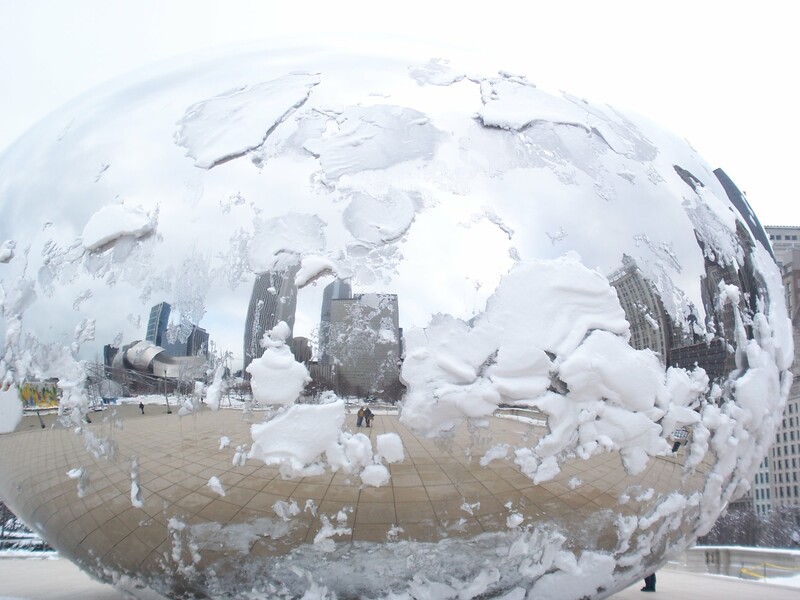 Suddenly, we’ve all become citizens of some place dubbed “Chiberia,” which is either some futuristic version of Chicago or Chicago transported to the Arctic. The winter has introduced new words into the vernacular like “polar vortex,” “steam devil” and “snow rollers” amongst others. It’s a winter for the record books: the coldest in 30 years to date. With the scene set for any of you readers who might not hail from this frozen Midwestern city, the worst thing about this winter to me is the cold. Although I’m grateful to have found a pair of long underwear long enough for my 36″ inseam, I’d be happier if I never had to wear them again. A January baby born in the year of one of Chicago’s worst blizzards that cost a mayor’s reelection, winter is my season. While I don’t particularly spend much time outdoors engaging in any wintry activities like skiing or ice skating – most likely out of fear that my nearly six feet tall frame will come crashing down to the ground, I will happily sip hot chocolate, bundle up in a warm sweater, or sit by a cozy fire. Winter it’s a season we must endure. How can you enjoy the warm without the cold? Summer without winter? Sure, sometimes it can wear me down, but my heart leaps whenever I look to the sky and see those glittering, every one of them unique, snowflakes floating down from the clouds above. One winter day some years ago, I looked up to see those snowflakes falling and immediately thought of my sister. I laughed about it for a moment first, but quickly silenced myself. I wasn’t wrong. The snow felt like a gift for me, a reminder that Emily was present and thinking about me. At a four-day high school retreat, we were surprised with letters of support and well-wishes from family and friends. We left with our packet of letters and returned to our rooms to read them. As I climbed the stairs to mine, I looked out the window to see some snow lightly falling. My breath caught and tears came to my eyes. This was Emily’s letter to me: I am here. I am with you. We are all just looking for reassurance and solace that our loved ones are still with us. People see signs and feel messages in all sorts of different things. It can be easy to dismiss it as crazy until you see it over and over again and you finally listen to that voice inside that tells you otherwise. The winter of 2013-2014 may be the winter of the collective’s discontent, but I feel oddly contented. I’ve gotten 60 inches plus worth of love, hugs and support from someone who continues to look out for me. And it’s really after the hardest winter seasons of our lives that we come into the the biggest gifts and greatest joys of spring. This entry was posted in Uncategorized and tagged Chiberia, Chicago, polar vortex, reassurance, remembrance, seasons, snow, snowfall, spring, winter. Bookmark the permalink.